KABUL -- Afghan surgeon Hedayatullah Hedayat has treated thousands of civilians wounded in conflict over the past 15 years but he has never gotten used to the horrors of war. "It's not normal," said Hedayat, 42, who works at a trauma hospital in Kabul run by Italian charity Emergency, where the wards are filled with casualties, many wearing splints, casts and bandages. "Each case of trauma for me is new, a new hurt, a new wound on the soul," he said. "Psychologically, it's a trauma." 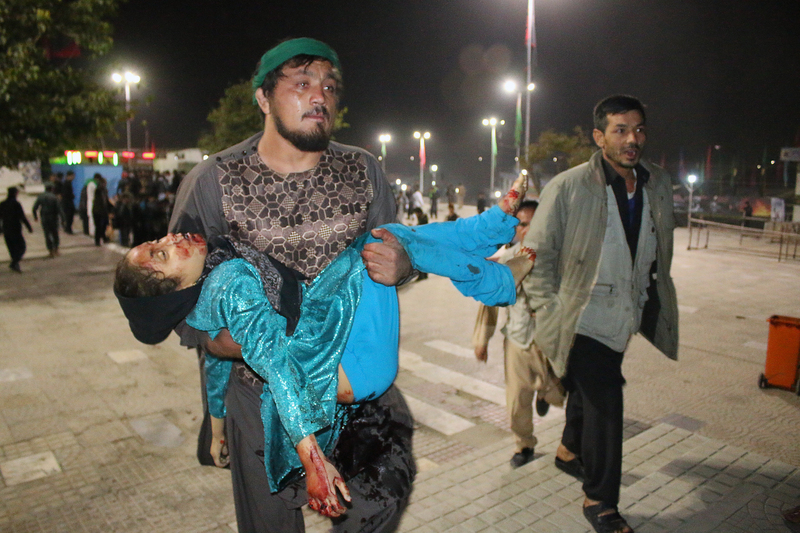 In 2018, a record 10,993 civilians were wounded or killed in Afghanistan, according to a United Nations (UN) report released February 24. 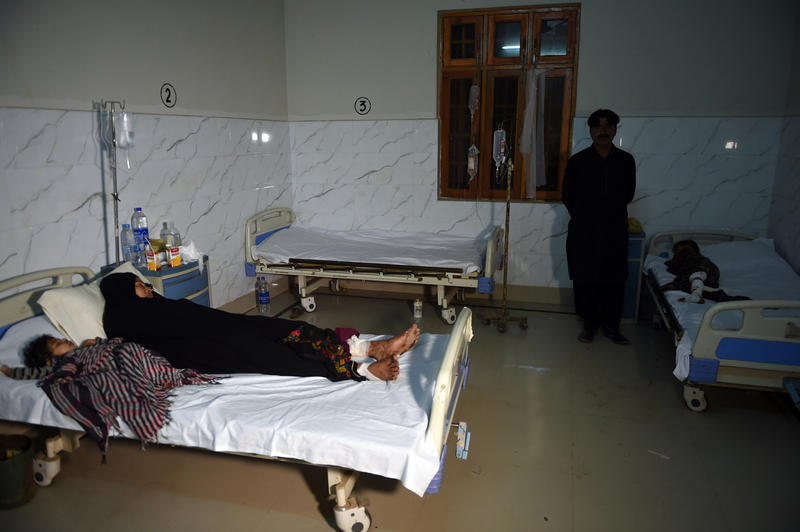 Many of them were rushed to Emergency's basic but clean 120-bed facility in the heart of the Afghan capital, which focuses on providing urgent treatment to victims of war. Inside the hospital, two boys lie on adjacent beds under light-green blankets -- one with a broken arm, the other on a drip -- as winter light streams into the room from the snow-covered grounds outside. Meanwhile, the highly trained Afghan and foreign medical staff prepare to change the dressing on a leg wound, and a meal of rice, soup and an apple is served to the inpatients. Of last year's civilian casualties, 3,804 died and 7,189 were wounded -- the highest UN tally since it began keeping records in 2009. The uptick in violence in 2018 coincides with a significant increase in the number of deaths caused by the "deliberate targeting of civilians", according to the report, mostly stemming from suicide attacks by insurgents allied with the Taliban or "Islamic State of Iraq and Syria" (ISIS). It underscores how regular Afghans continue to pay a disproportionate price, as the United States begins fresh talks with the Taliban in Qatar this week seeking an end to the conflict. The doctors at Emergency are in a constant state of readiness for the next suicide attack or roadside bombing. Since 2014, when NATO combat troops pulled out of the country, "every year the number of patients and the severity of the casualties are increasing day by day," Hedayat said. 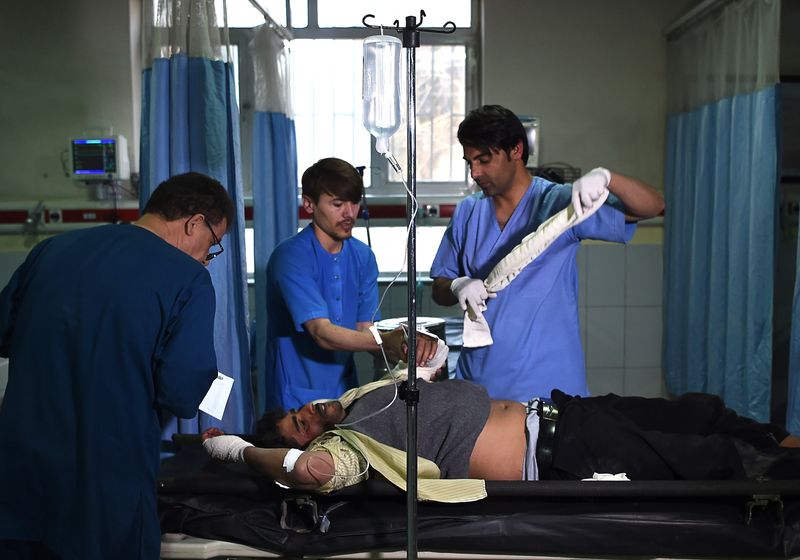 A record 4,076 patients were admitted to the Kabul hospital in 2018 -- 530 more than the previous year, said Dejan Panic, programme co-ordinator for Emergency in Afghanistan, which also operates two other hospitals as well as dozens of health clinics around the country. "That was the busiest so far," Panic said. Ordinary Afghans have long borne the brunt of fighting in Afghanistan. Most were simply in the wrong place at the wrong time. Thirteen-year-old Samiul Haq was planting onions with his father and brothers a few hours' drive from Kabul when he was shot three times in a skirmish between Taliban militants and Afghan forces. One of the bullets sliced off his left index and middle fingers, leaving the schoolboy with a permanent reminder of the 17-year war. "I got hit three times -- once in the fingers, once in the elbow and once in the leg," he told AFP as he prepared to leave Emergency's facility. Abdul Salaam Stanekzai, 67, was walking home from a Koran recitation ceremony in Logar Province when a magnetic bomb attached to a passing vehicle exploded, spraying shrapnel into his arm and leg. One person was killed and three others were wounded in the blast, Stanekzai said, as he sat in his hospital-issue pyjamas in a men-only ward overlooking the garden. The never-ending violence makes Hedayat, the surgeon, worry for the future of his own four children. "I hope they will have a normal life," he said. "They shouldn't have a life like mine." More than 900 children were killed in the war last year, raising concerns that the violence is escalating.